Noblis has merged with its subsidiary Noblis NSP, which specializes in intelligence and law enforcement markets. Noblis said the move would streamline and strengthen its cyber, intelligence and advanced analytics domain expertise and capabilities. 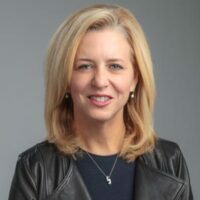 Former Noblis NSP President Ellen McCarthy, who serves as Noblis vice president of intelligence and analytics, will oversee the company’s consolidated efforts to provide intelligence and law enforcement services to 14 federal agencies. “This merger gave us a great opportunity to realign our unique resources – our people, mission experience, and capabilities – in a way that best meets our clients’ missions,” McCarthy said. Noblis works with a wide range of government clients in the defense, intelligence and federal civil sectors, and was named one of the 2018 “World’s Most Ethical Companies” by the Ethisphere Institute, the company said.